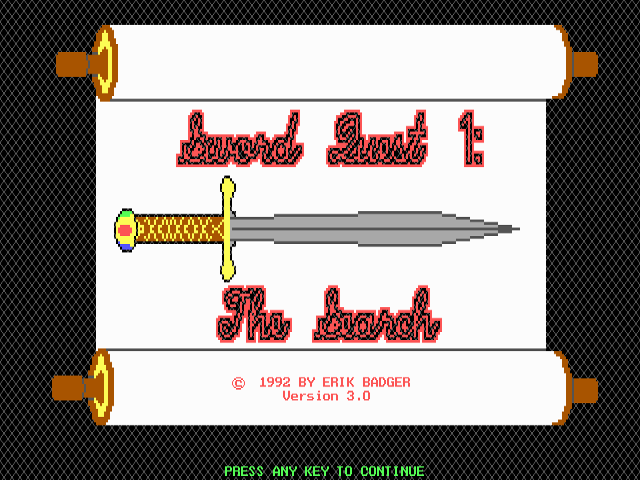 Sword Quest 1 version 2.0 is a role playing adventure game in which the user creates and controls a character, the Royal Jester, throughout a quest to rid the land of Ferd from the evil creatures fostered by The Evil Warlock. The only way to complete the game is to find the Evil Warlock and kill him. 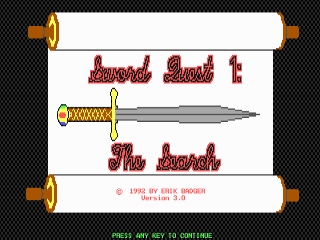 To do this the character must find various magical items. 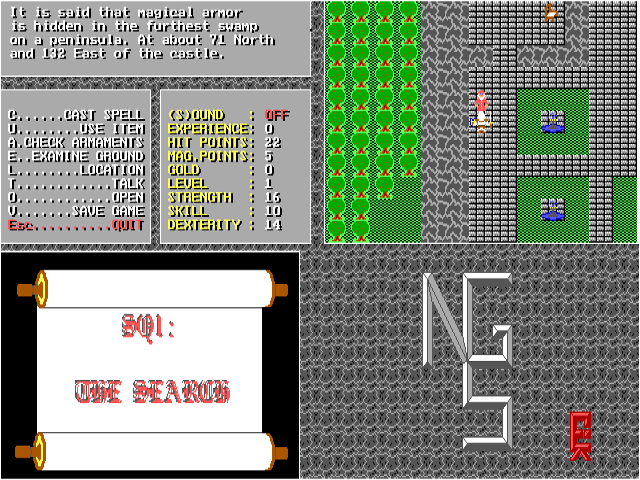 To find the locations of these items and other information the character may talk to other people in various towns and caves. 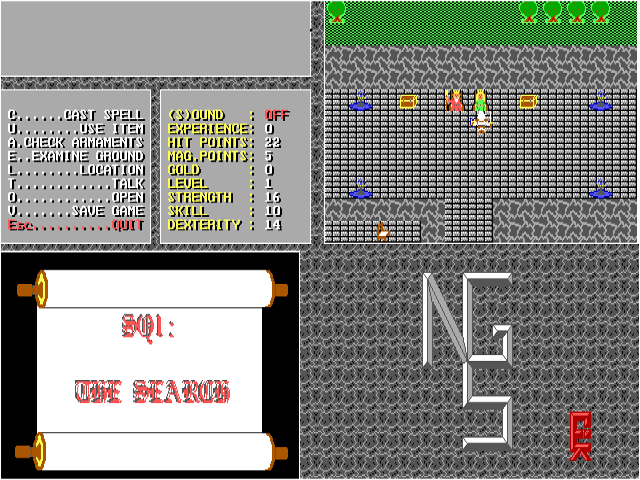 To buy magical potions, items, and armaments the character must talk over the counter to the people in various stores. When traveling over land or in caves the character will meet many monsters that he/she must fight. When fighting a monster the character's Hit Points will be decreased by the attacks of the monster. If the Hit Points fall below zero the character will die. 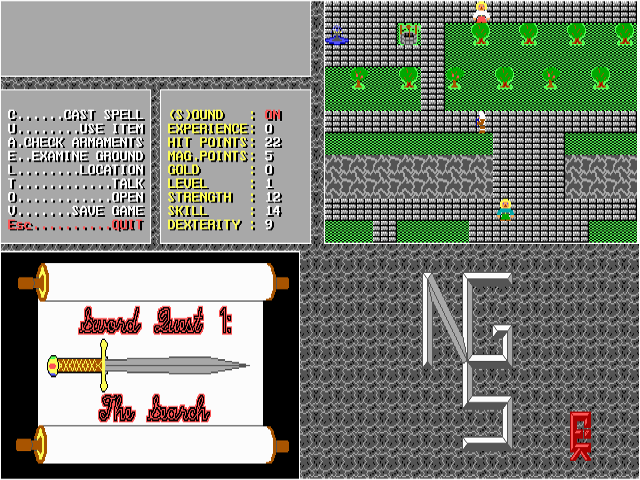 To replenish Hit and Magic Points the player must return to the main castle or sleep in an inn. 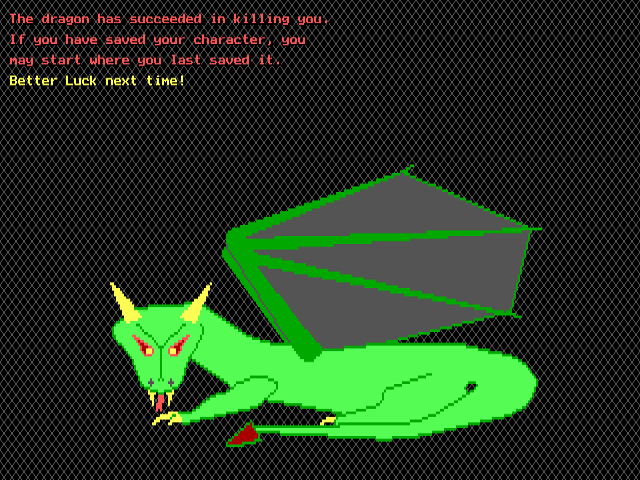 The character may gain gold to purchase items by killing monsters and opening chests. 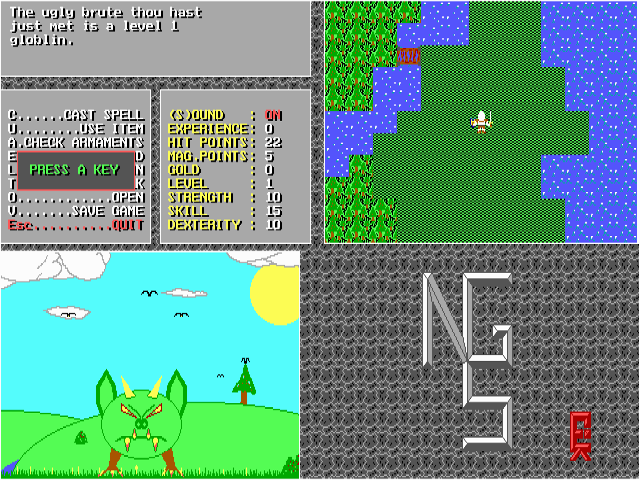 Throughout the game menus will be shown, displaying the player's options.